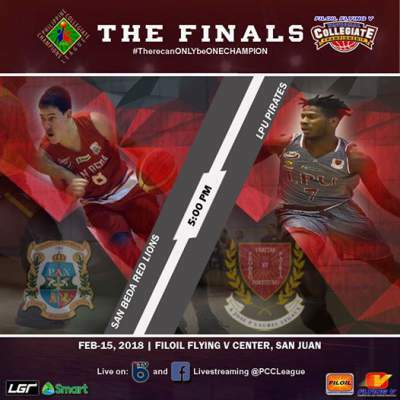 Here is the details for San Beda University (SBU) Red Lions vs. Lyceum of the Philippines University (LPU) Pirates in the finals of 2017 PCCL National Collegiate Championship Elite 8. The Lyceum of the Philippines University Pirates defeated the San Beda University Red Lions 70-66 in the PCCL National Collegiate Championship Elite 8. Jaycee Marcelino, the Finals MVP, scored 19 points on 8-of-16 shooting and grabbed nine rebounds to lead Lyceum. Mike Nzeusseu added 16 points and 11 boards. Javee Mocon led the way for San Beda with 24 points and eight boards.